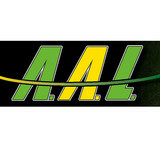 Welcome to the All About Lawns website! The mission of All About Lawns is to provide a complete lawn care service to residential and commercial customers, which include but are not limited to: Lawn Mowing, trimming/edging, thatching, power-raking, spring & fall cleanup, fertilizing, sprinkler install & service, landscape design and developement, snow removal & ice management & more. 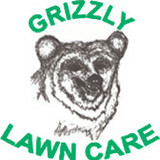 We are a complete lawn care provider; meaning we can do anything and everything that you want. Whether it be fertilizing your lawn in the spring, mowing your lawn in the summer, raking leaves in the fall and plowing in the winter... we do it all! 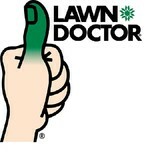 All About Lawns, LLC was established in 2007. We are licensed, insured and we provide services to the Missoula and surrounding areas. Give us a call today! We are expertly trained in the latest lawn care methods. We know how to the best care for your land so that it is always vibrant and flourishing. We understand that you want the best for your lawn and we are dedicated to offering you services that are of the highest caliber. 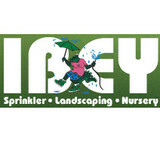 Ibey's started in 1990 as a 2-man sprinkler business. Ernie Ibey, father and founder, started the company with his son Chuck. It was a venture established after Ernie's retirement from teaching. In June 1994 Ernie retired from the sprinkler business as well and his eldest son, Tim, took over working in the business. To this day Ibey's is a family owned and run business where Chuck and Tim can be seen working on projects with the crews. They are joined by sister Dolly the office manager and her husband Fred who serves as the General manager. We are committed to our friends and neighbors of the greater Missoula area. Our founder and Father instilled the company philosophy: A JOB WORTH DOING IS WORTH DOING RIGHT! In addition to the maintenance side of gardening, Victor, MT gardeners can help you with garden design and choosing specific plants and grass types for your climate and area. Find a Victor, MT gardener on Houzz. Narrow your search in the Professionals section of the website to Victor, MT gardeners. You can also look through Victor, MT photos to find examples of yards that you like, then contact the Montana contractor who worked on them.